Expertly directed by John Huston (The Maltese Falcon) from a screenplay by Pulitzer Prize winner Arthur Miller, The Misfits is a "probing, exciting drama" (Film Daily) of honesty, intensity and sheer poetic brilliance. Expertly directed by John Huston (The Maltese Falcon) from a screenplay by Pulitzer Prize winner Arthur Miller, The Misfits is a "probing, exciting drama" (Film Daily) of honesty, intensity and sheer poetic brilliance. Expertly directed by John Huston (The Maltese Falcon) from a screenplay by Pulitzer Prize winner Arthur Miller, The Misfits is a "probing, exciting drama" (Film Daily) of honesty, intensity and sheer poetic brilliance. Divorced and disillusioned Roslyn (Marilyn Monroe) befriends a group of "misfits", including an aging cowboy (Clark Gable), a heartbroken mechanic (Eli Wallach) and a worn-out rodeo rider (Montgomery Clift). Through their live-for-the-moment lifestyle, Roslyn experiences her first taste of freedom, exhilaration and passion. But when her innocent idealism clashes with their hard-edged practicality, Roslyn must risk losing their friendship...and the only true love she's ever known. 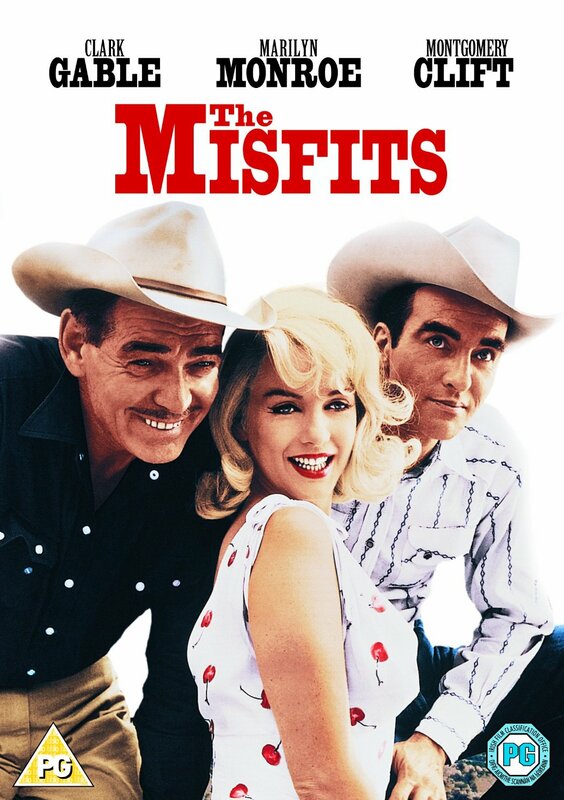 Expertly directed by John Huston (The Maltese Falcon) from a screenplay by Pulitzer Prize winner Arthur Miller, The Misfits is a "probing, exciting drama" (Film Daily) of honesty, intensity and sheer poetic brilliance. Divorced and disillusioned Roslyn (Marilyn Monroe) befriends a group of "misfits", including an aging cowboy (Clark Gable), a heartbroken mechanic (Eli Wallach) and a worn-out rodeo rider (Montgomery Clift). Through their live-for-the-moment lifestyle, Roslyn experiences her first taste of freedom, exhilaration and passion. But when her innocent idealism clashes with their hard-edged practicality, Roslyn must risk losing their friendship...and the only true love she's ever known.